The campus on Ilha Grande is located in one of the most important ecological sites in the world in terms of its bio-diversity. At present twelve research projects are being developed there by various UERJ academic units. The Centre for Environmental Studies and Sustained Development, Ceads, was first created in 1995, and is responsible within UERJ for studies and environmental projects in the area of the Bay of Ilha Grande, on the south coast of the state Rio de Janeiro. Because it is situated in an exquisitely beautiful place, whose sea and land ecosystems are particularly rich, Ceads provides an opportunity for teaching and research in numerous fields of knowledge. 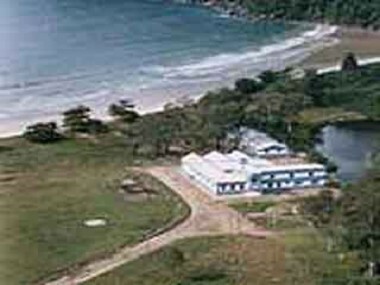 Its campus, located at the Vila Dois Rios, on the island of Ilha Grande, sponsors a wide range of activities which include the Bay of Sepetiba and the continent itself. To achieve these aims, the campus houses multi-purpose laboratories, equipped for various research areas. Ceads´ mission is to carry out scientific and technological investigations in various fields of scientific knowledge, and to promote an interface between research, teaching and extramural activities. The activities developed there aim, above all, to improve the environment, by means of an integration of human beings together with sustainable development.